Being a Fiona Palmer fan I have read a few books from this author before which were very good and this book was no exception!! I loved how the author used the three main characters in this book with their different backgrounds to create a very special and amazing ending!! I have read all Fiona Palmer's book and I loved them all, however, this was my least favorite - I just found it a bit boring there was too much focus on Italy and not enough about the farm - still a good read. Another fantastic Aussie read. I am loving making way through the books and hating coming to the end. 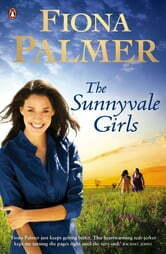 These novels are a must for anyone overseas wanting to know a bit about the Australian Outback farming communities.